I also photograph babies between 6 weeks and 5 months (or pre sitting, which ever comes first) here at Samantha Prewett Photography. For many familes, the thought of a newborn photography session is too much and they are just not ready until their baby is a few weeks old. If this is you, please do not worry, we can still get some gorgeous images during your baby session. 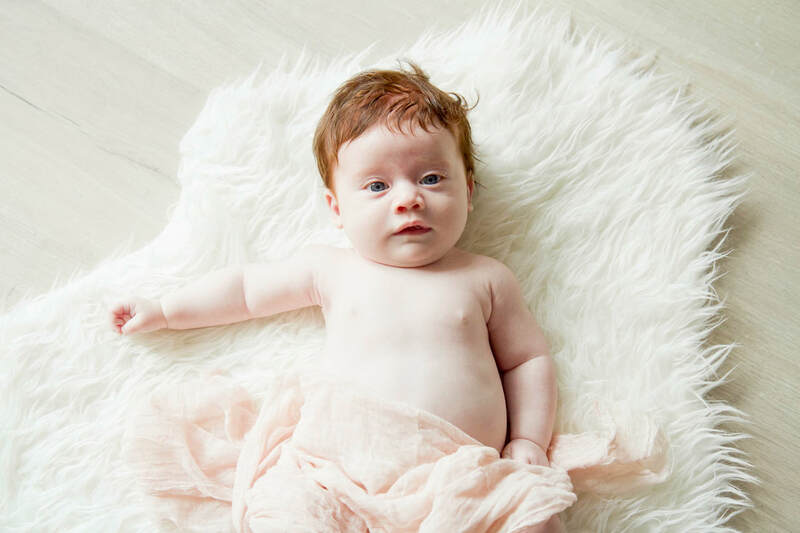 These sessions are similar to newborn sessions with mainly the same style of images, but they are less "posed" as your baby will not be as curled up or sleepy as a baby of a few days/weeks old. I believe this is a beautiful age to capture, babies are starting to express their personalities and we should get a few smiles and more interaction. If your baby is older , I would do your session either outdoors or at yours, please refer to my family section. Baby photography packages start at £95.